IPL-9 is not going in a favor of Captain Cool MS Dhoni. The Indian skipper who is leading “Rising Pune SuperGiants” is struggling with his team in the 9th edition. 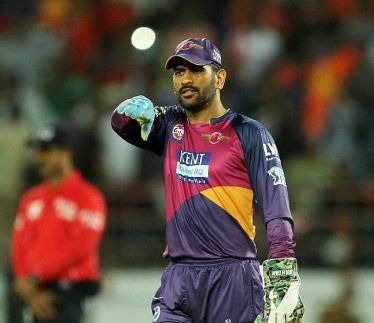 The road for the playoff becomes a tough hurdle for MS Dhoni after the close defeat against Gujarat Lions Yesterday. The Indian skipper had never missed any knockout stage in the IPL history. But, it might be the first time that his team will not qualify for the play-off round. The captain had never faced this kind of situations in the previous 8 editions. Indian skipper, Mahendra Singh Dhoni had captained “Chennai Super Kings” in last 8 editions and his team had played all the knock-out stage of IPL. He is the only captain in the IPL history who had played 6 IPL finals and won IPL trophy in 2010 and 2011 edition. The Indian skipper is playing for “Rising Pune SuperGiants” in the 9th edition because his previous team was banned for two years by IPL committee. IPL governing council had banned Rajasthan Royals and Chennai Super Kings because their owners were found guilty in the match -fixing. 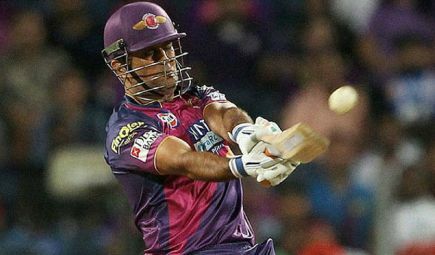 The team “Rising Pune SuperGiants” had won just 3 out of 9 matches. Though the team has to play 5 more matches but they can’t afford a single loss in the next upcoming matches. It has increased the worries of MS Dhoni and the team staff. Now, a single defeat will increase the miles to reach the playoffs. His team has various big names that include Faf Du Plessis, R Ashwin, Steve Smith, Ishant Sharma, RP Singh, Ajinkya Rahane, Thisara Perera etc. But, nothing is going in their favor. The giant batsman Kevin Peterson who is the part of the team is out from the ninth edition because of injury and Usman Khwaja has replaced him. The team has strong batting line-up and they have made big scores too. But, the bowling line-up is showing their poor class. R Ashwin, RP Singh, Thisara Perera, M Ashwin, Ashok Dinda and Mitchell Marsh all are unable to defend big totals. The team lost 3 close matches till now because of the poor bowling attack. This bowling attack was destroyed by Gujarat Lions and they climbed the peak of 196 runs successfully. The team has +0.265 run rate but it’s worthless without victories. Now, Captain Cool has to unite the team and boost the spark again to make the way in the playoffs otherwise, we will see the first edition of IPL without Captain Cool.